Right now my pastor husband is preaching a series of messages on this psalm. One of the things he mentioned is how the Psalmist, in verse one, declares that he is dwelling, abiding under the shadow of the Almighty. Then immediately in the following verse he begins to declare who God is. 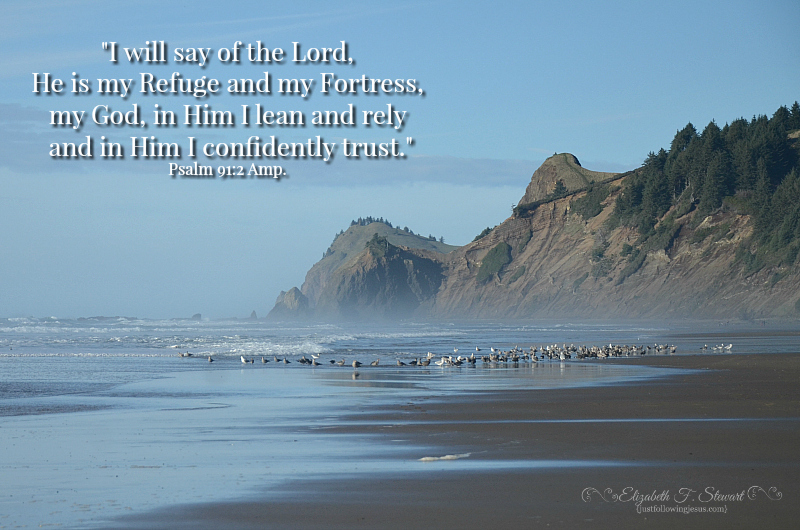 He speaks out that God is his Refuge and His Fortress, the one he leans on, relies on and in Whom he confidently trusts. The point is that what we say affects where we abide. How often do you and I abide in the land of fear and anxiety? How frequently are our worries and fears what comes spewing out of our mouth? Consequently, instead of abiding safely and securely under God's covering and care, we dwell in the land of land of insecurity, anxiety and fear. What if instead we made it a habit to declare Who God is, the One under Who's protection we dwell. Say it or sing it. 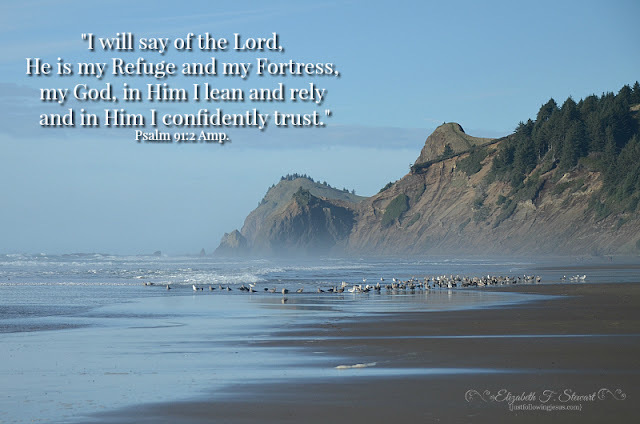 Declare Who God is and abide securely in Him. ❤ hope you are well! It's all too easy to be worried and fearful as a mom/grandmother. Making a deliberate decision to trust God with our loved ones has to be a continual choice doesn't it. Thank you for this. It is very timely, with the wind blowing hard and the rain falling, and trees falling down at my kids' schools, I needed to hear this. Speaking the Truth about God, aloud if necessary, is a powerful weapon and fear and the enemy. Great post, Elizabeth.